My Big Book of Catholic Bible Stories was probably one of my very favorite writing projects (though Thomas Nelson decided not to put my name on the cover, I appreciate their giving me a chance to compile the book for them). Catechism excerpts, Old and New Testament readings, and lots of bonus features enhance the Scripture text (NRSV). Available through Amazon.com – available in red or blue. This practical little resource book examines each of the seven deadly sins through the lens of motherhood, as well as the “spiritual antidote.” If you struggle with anger, greed, or laziness, this book will help you map out a healthier life plan! Written from the perspective of one who is still very much “in the trenches,” Raising Up Mommy offers a reassuring look at the role of motherhood — and what God can do in the life of a woman who offers herself completely back to God. 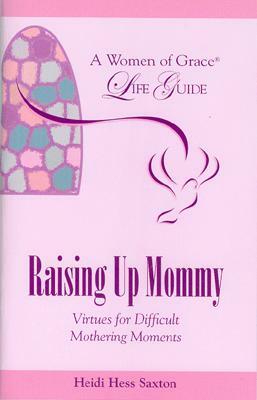 This book is available through the Women of Grace Online Store.